Fifty years after humans first set foot on the Moon, people across the world are building on the small steps and giant leaps of the past to go further, opening space for more people and more missions. Every day, the Moon grows closer to those of us who dare to dream, explore, and solve problems. What was once impossible is becoming probable, and soon, it will become ordinary. We are going to the Moon to stay and to set our sights on even bigger dreams. WHAT WILL PEOPLE DO ON THE MOON? We are calling on the generation who will take the next giant steps into space. 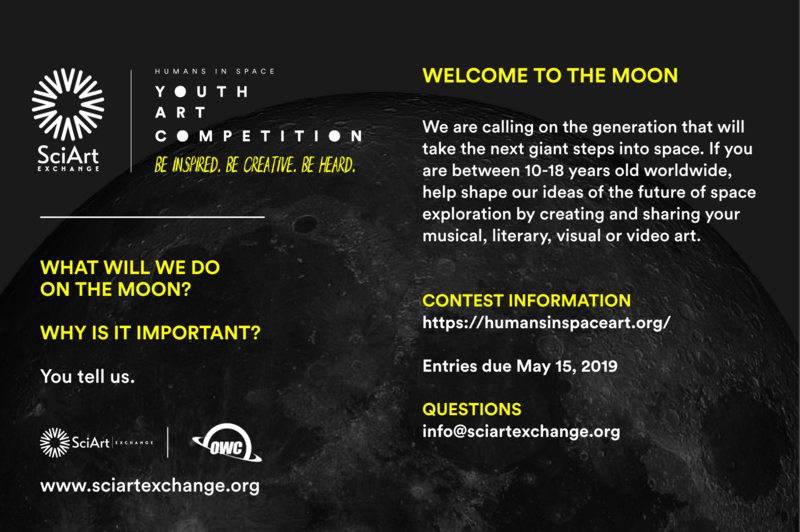 If you are between 10-18 years old, help shape ideas for the future of space exploration with the international Humans In Space Youth Art Competition. 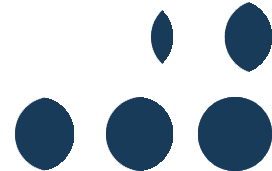 Create artwork that is musical, literary, visual or video that expresses your ideas and inspiration for a new generation living, working and doing science on the Moon. What will it look like, sound like, and feel like? Winning artwork selected by an international panel of artists, scientists, teachers, engineers and astronauts will be displayed through a worldwide tour, beginning with a kickoff event in the Vortex Dome in Los Angeles, California in August 2019. The first place visual and literary artworks will receive $250 US, and the first place video and musical artworks will receive $500 US.